I’m guilty, I admit it. Guilty of a heinous crime, but in my defence it is a sin of omission rather than commission. The sin in question is that of completely ignoring the output of Ray Wilson since his departure from Genesis after their Calling all Stations album back in 1997. So whilst I knew he kept doing stuff somehow it never troubled me to find out about it for myself. This album has certainly changed that for me significantly, for I discover that Ray is the possessor of both a gloriously emotion drenched voice and also of a sublime lyrical majesty, and whilst his output may not be wildly progressive it is certainly something wonderful to behold. This is a very mature album full of interesting lyrical themes including anger, love, hope and despair but somehow this is all woven into a fabric that is both life-embracing and affirming. It is a very open and honest album, rather raw emotionally and actually all the better for being so too. Much has already been made of the title track, Song for A Friend, which tells the tale of Ray’s close friend who was left disabled after an accident in Spain and who became so downhearted and burdened by his disability that he drove himself and his wheelchair from a jetty into the sea and sadly drowned. Whilst being a tragic event in itself, the song is not maudlin or morbid, instead it celebrates the life this man had and the memories that he held dear in his heart. 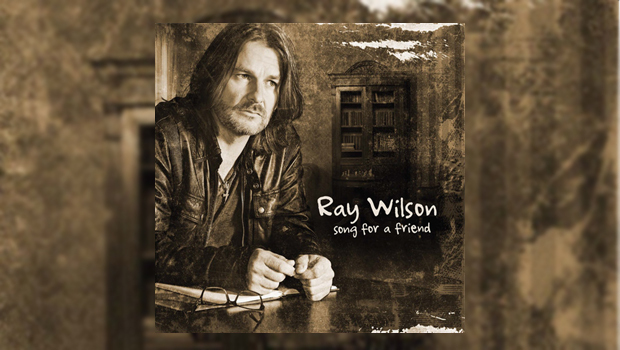 I’m not normally a big fan of acoustic singer-songwriters but there is something special and heart–warming about the Song For A Friend album. Sadly though, 99% of people will never get to hear it, which is a tragedy in itself as music this good certainly deserves a far wider audience and acclaim as its themes are common ones that can touch each of us at times. Yes it’s low key, but even so it has a vibrancy and passion that is often lacking in much modern music. For me personally, this is a revelation and I will certainly work backwards from here to discover other fine music from this greatly overlooked artist. In addition, there is also an excellent version of Pink Floyd’s High Hopes, from their The Division Bell album, that is well worth hearing.